It looks like tons of fun from what I've seen from everybody's posts and photos. I'm glad you had such a good time! OMG, Rhinebeck was amazing this year! 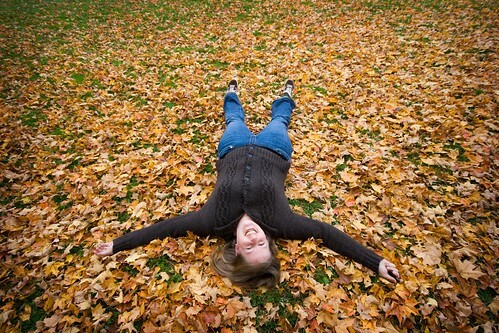 That pic of you in the leaves sums it up perfectly. I remember seeing you outside one of the barns, but my brain was so overstimulated I couldn't remember your name. Next year I'll do better and say hello...! it looks amazing! MUCH better than MDSW!!! i must go next year. Love your photos! It was an exhausting wonderful unforgettable weekend! Soooo awesome! I can't wait till next year! it did look like a lot of fun! the fall colours are beautiful too. LOL... I saw you laying in the leaves for that picture while I was leaving the Rav daytime meetup and just knew it would end up here! It was awesome to see you this weekend! Good thing she told you about the yarn and didn't try to swipe it! That noise, that's my jealous noise. Looks like an awesome time. 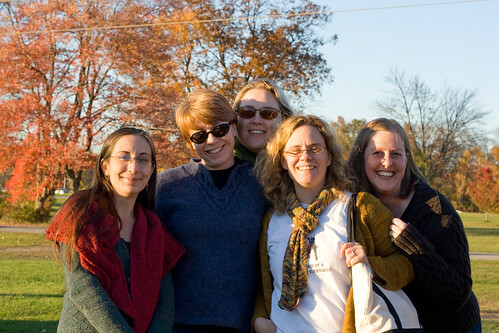 I never tire of hearing about Rhinebeck - I'm going next year! 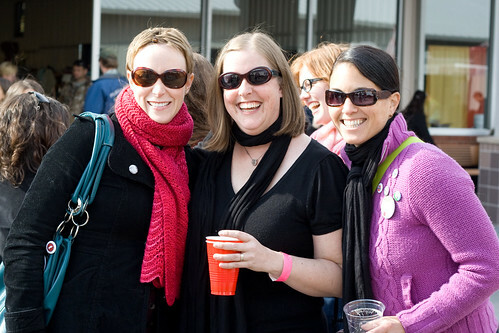 I think we should just bring our knitting to a beer festival next year. Screw Rhinebeck! Who's on board!?!? I think my favorite part of all these Rheinbeck recaps that I should just be jealous of and get over with is seeing all the handknit sweaters "in the wild". I know you're all wearing them to show off, but seeing them all is just SO COOL. Thanks for taking all the pictures of them, to everyone who went to Rheinbeck! I just lived Rhinebeck vicariously through you. THANKS CARO! Maybe someday I'll make it to one of these crafty events. If only to enjoy a Bobcake. 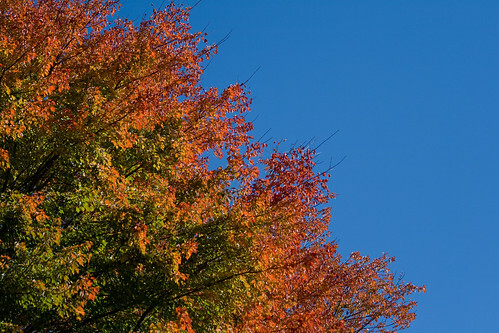 Wow, the autumn colours are great! all shades from green through to red! I am glad I ran into you, Caro! Yeah, I didn't even think to take a picture, because it was like, "oh, it's Caro and Minty!" I hope your November is as awesome as your October! Dude, I can never grow tired of the Rhinebeck posts. Such gorgeous photos and everyone having such a great time! Awesome stuff.